Which Mid to Light wind kite? I think I'm in the market for a mid to light wind kite, say 12 to 20 knots 12m - 14m size. A bit about myself. Dry weight 70 kilos. Intermediate casual rider, experienced, but no illusions of grandeur. Liquid force havoc 12m (2007? ): Hated it, no low end power, no nerve, no power for its size. Caution Mayhem 14m: Loved the jumps and range, hated the bar pressure (too high), sold for that reason. Could jump high when others would not in mid to light wind. Best Waroo 13m (2009? ): Got it to replace the Mayhem. Now broken but thinking of buying new instead of fixing. I preferred the mayhem apart from the bar pressure. Didn't have the jumps and grunt of the mayhem. Worse low end too but I could ride it for longer without breaks. 09 Cabrinha Crossbow 10m: my main kite. Had better (like the best nemesis hp 10m) had much worse. And which size for my weight and wind 12 to 20 knots? I like big jumps. Another question: Where do kites ship from? I live in Greece (EU) and customs are notorious. 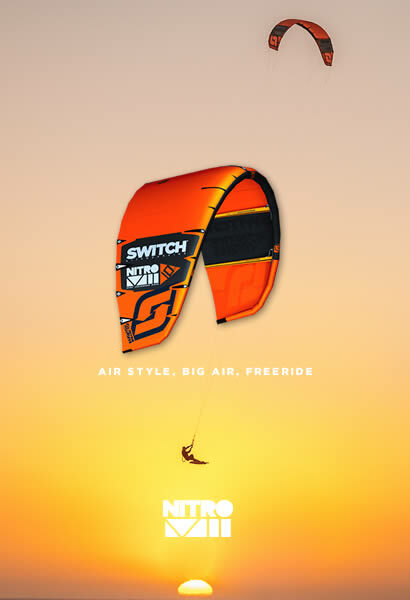 I would say Nitro or Element, depending on what other things than bigair you want to do. If you like to waveride occasionally, get the Element. Haven't flown the Nitro, but I think that it'll be a bit more direct feeling on the bar and hook, and keeps its shape better under very (I mean at the extreme topend) high load. Both 5 strut, so in really light winds the weight will be a limiting factor and you're better of with a Helium, but the lowend from both kites should be good. Taxes are already included in the price. Taxes are not included at the price for Greece and I can't blame switch for that because the greek customs is a mess. They charge whatever they like and especially the fedex (that switch uses) is extremely expensive. I have a nitro 12m for sale at Greece, if you are interested pm me. Kites are being shipped from hong kong. Huh? So what good is the EU exactly then? It has nothing to do with EU. All products shipped within EU have no tax at all. Switch ships the kites form Hong Kong (they don't use the warehouse at Britain anymore) so there are customs and import taxes and also the charges of the agency that handles the procedure at the customs (and where fedex is notoriously expensive). So if you order within EU no added tax at all, if you order from china you have to pay all the above. I just checked and you're right. I was under the impression that the taxes were still included on the site. All of a sudden they're kinda expensive now, lol. So helium out the window because of boosting capabilities and because kite weight should not matter much in discussed wind range for my size. Now between the Element and Nitro. Which has the best low end @ 12m and @ 14m? Provided that they both boost about the same? Which relaunches better/easier? Someone tried, all four or at least two at same size? My size (70 kgs) implies I should get a 12m. But the fact that I have the 10m Crossbow already, (and I intend to keep until broken, it is my main sail after all), says that I should get a 14m or even better a 13m which Switch does not make in those 2 models. I was really happy with the 14m Mayhem (damn you bar pressure) and OK-ish with the 13m Waroo. Can't make up my mind. Waves? There are no serious waves (that I've seen) where I live when the wind is between 12 to 17 knots. Maybe you can boost off them using them as ramps but not much else. So I don't care about the wave capabilities of my big-ish kite. Another thing I'm worried about is import taxes. Maybe I should ring FEDEX and ask how much I'm looking to pay before I order. I had a nasty surprise with TNT once. Thank you for the warning on that one. 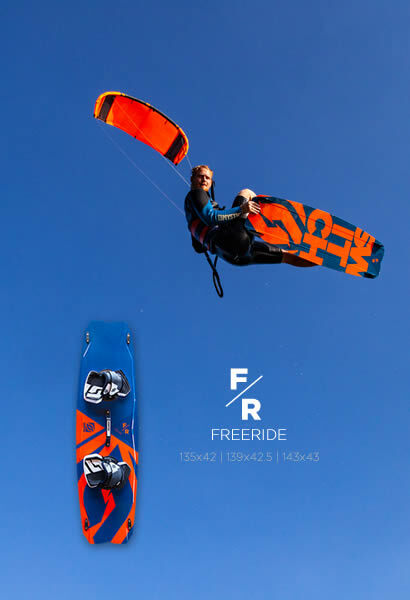 Element relaunches really good, don't know about the Nitro but given the type of kite probably a bit less.